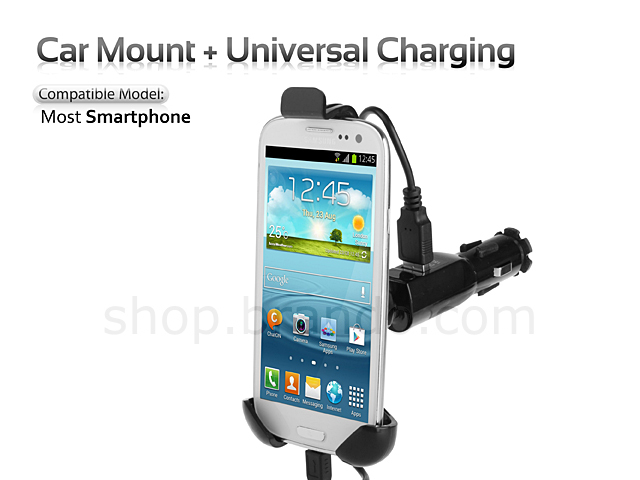 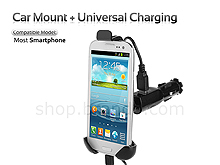 This car mount and charging kit is compatible for most smartphones. 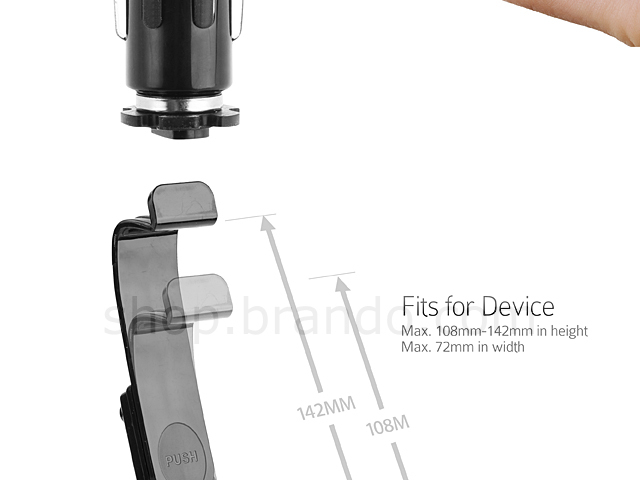 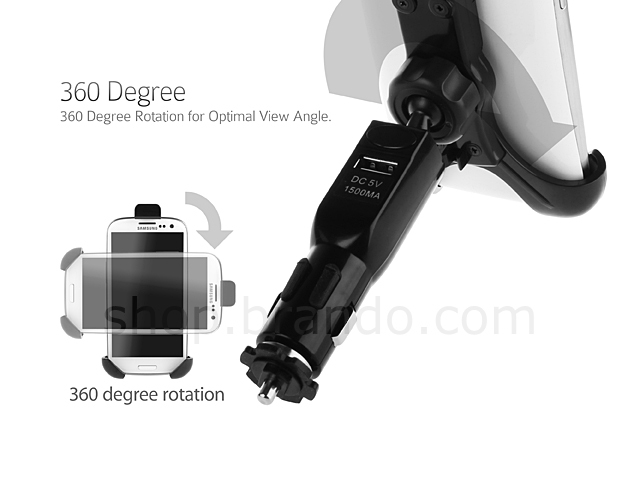 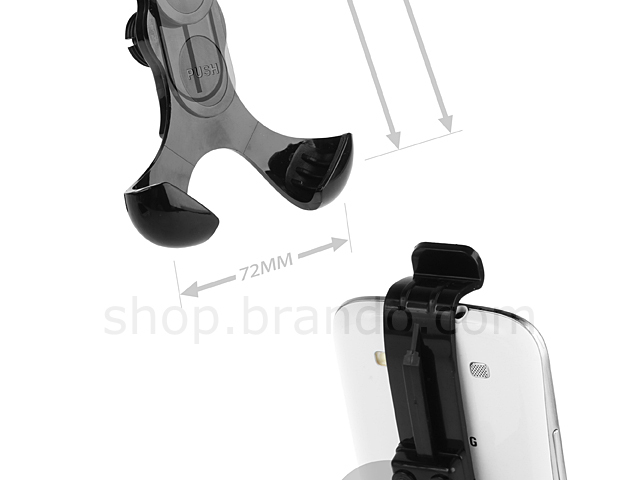 With 360 degree adjustable holder and flexible arms, you can adjust at the comfortable viewing angle. 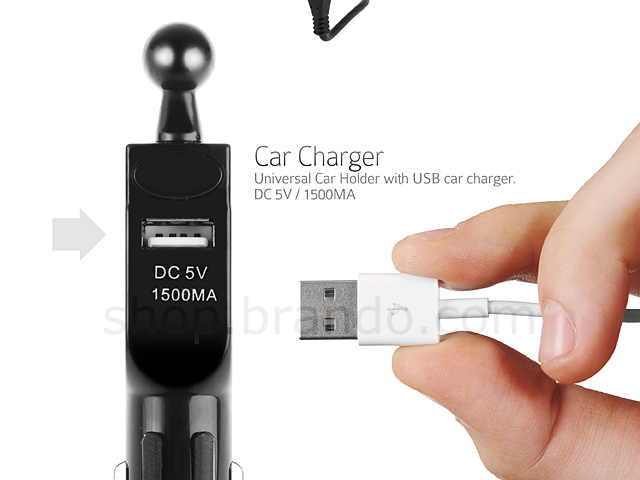 Charges your smartphone from car cigarette socket.